The newest project, Feng Sheng, or Sound of Wind from ever expanding powerhouse Hua Yi Brothers is notable for the fact that all four of the leads are Hua Yi’s most bankable stars right now, Li Bingbing, Zhou Xun, Zhang Hanyu and Huang Xiaoming. 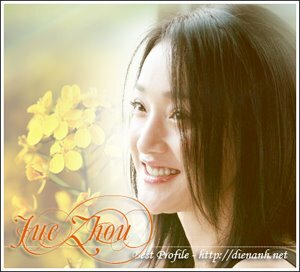 They are all some fo the most well-liked stars in China and the first three have all won top acting awards at some point in their career, with the most recent winner being Zhang Hanyu at the Golden Horse Awards. In their press conference they revealed who they were playing. After the success of “An Suan” (a TV series that was a monster hit in China), the author Mai Jia became popular too and Hua Yi paid over a million yuan for the rights to a movie version to the novel, “The Sound of Wind”. 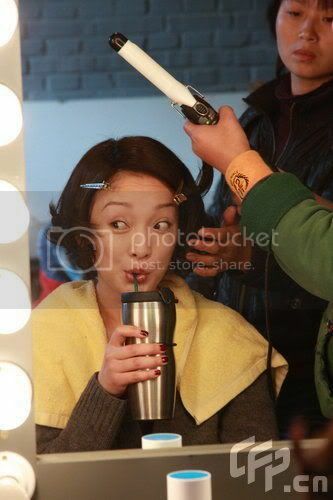 To make up for any digs at Zhou Xun earlier, here are a couple of pics from when they were getting ready for the make-up tests. In contrast to the furrowed-brows of the other three cast members, who seemed to be thinking “I shouldn’t have written that in my biography “, or “I’m totally going to get overshadowed in my movie breakout role”, and “I hope they don’t mess up my hair”, Zhou Xun seemed to be rather care-free and not thinking about anything. It must be nice to be the top actor in one of China’s top entertainment companies.